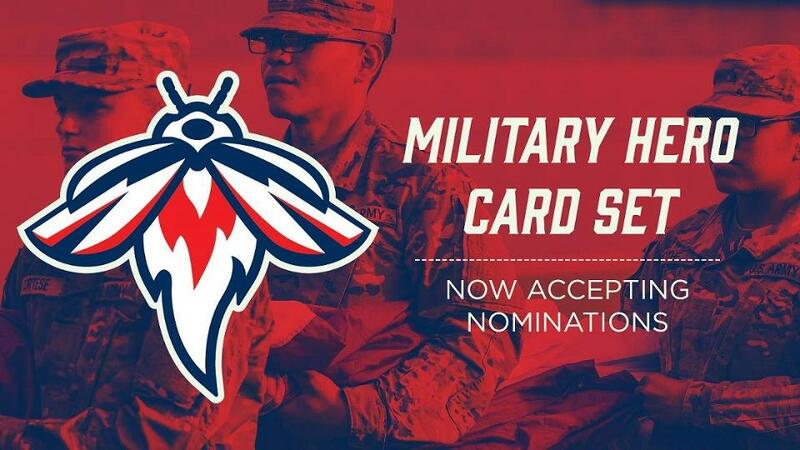 COLUMBIA, S.C. - The Columbia Fireflies are looking for local military personnel including those in active duty, reservists, and veterans to honor in the 3rd Annual Military Hero Baseball Card Set, presented by AllSouth Federal Credit Union. On May 30, 2019 the first 1000 fans that enter Segra Park will receive the 2019 Military Hero Baseball Card Set featuring local heroes. "The Military Hero Baseball Card Set is an incredibly unique way to honor the local men and women that have served our country," said Fireflies President, John Katz, "and we are happy to be continuing our partnership with AllSouth Federal Credit Union to make it happen." "Supporting our military is the foundation on which AllSouth was built," said Vice President of Marketing for AllSouth Federal Credit Union, Connie Hernandez, "and we continue this tradition. We are honored to sponsor a set of cards for those who proudly served our country." Tickets for the 2019 season are on sale now. Visit ColumbiaFireflies.com, the Segra Park ticket office or call (803) 726-4487 for more information.